Come home to Grand Rapids, the grand, garden city of Michigan's West Coast. 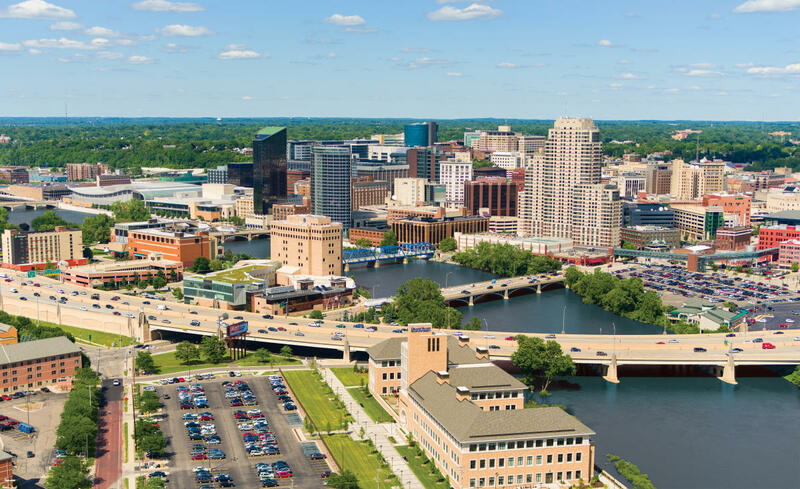 The state’s second largest city, Grand Rapids combines all the pleasures of a cosmopolitan metropolis with all the charm and friendliness of a classic small town. An extraordinary degree of design and civic planning has been lavished on gorgeous residential neighborhoods with tree-lined streets offering homes in every style, including historic homes by famed architects such as Frank Lloyd Wright. 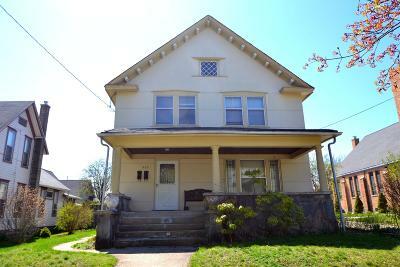 From mansions in the downtown area, to newer sub-divisions on the outskirts of town, there’s a house, condo, apartment or flat to meet every budget at a price that’s considerably less than the national average. A city on a cultural roll, $200 million has been invested in theaters, museums, recreational and sports facilities in recent years. You can lose yourself among the plants and sculptures of the Frederik Meijer Gardens, explore the extraordinary Grand Rapids Art Museum, take your family to the John Ball Zoo, stroll the boardwalk along the Grand River or choose from more than fifty restaurants and local bars in dynamic downtown. Downtown Grand Rapids is home to 3 minor league teams, offering a multitude of sporting events to the community including baseball, hockey and basketball. You can catch the West Michigan Whitecaps playing on a summer night while enjoying a hotdog and watching the weekly fireworks display at the Fifth Third Ballpark; Spend an evening at the Van Andel Arena watching the Grand Rapids Griffins compete on the ice; Or head over to the Delta Plex Arena and watch the Grand Rapids Drive challenge their rival on the court. No matter what time of year it is, you can always enjoy an intense sporting event while rooting for your local minor league team. Saturated with breweries, restaurants, farmers markets and shopping boutiques, Grand Rapids is just minutes from diverse recreation opportunities. While skiing, fishing, mountain biking and hiking can be enjoyed year-round, in the summers, you can take a quick 35 minute trip over to Lake Michigan to enjoy an entire day at one of the local beach towns with your family. The ability to have both secluded, small-town charm and the big city at your finger tips makes Grand Rapids a perfect place to call home. The Grand Rapids School District is Michigan’s fourth largest school district and serves over 17,000 students in 27 elementary schools, 17 middle schools, 8 high schools, 5 Centers of Innovation, 3 Success Centers, 1 charter school, 13 theme schools, 2 Juvenile Justice Centers, and 13 special education schools. For more information, to tour a school, or to find out about enrollment procedures, please go to the Grand Rapids Schools website, or call the district office at 616.819.2000.